Presented by Northeast Delta Dental & The Catamount Trail Association. Participants in this category are required to raise a minimum of $100 . On Thursday, August 22nd if the fundraising minimum ($100) has not been met the participant will be charged the remaining balance. Entry to the event is guaranteed. Register 5 or more people to receive the early CTA member price or $40/person. Offer good through July 31st. For ages 4-14, consisting of 1 or 2 loops around a ~1km course near the base of the Toll Road at Stowe Mountain Resort. 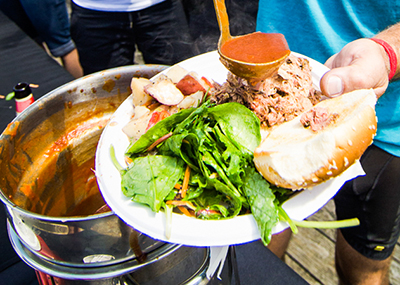 Lunch is not included with the kids run. Also, please take into consideration any [+more] significant others, children or friends that might be attending but not participating in the race that might also be interested in having something to eat. Help Provide Children In Vermont The Opportunity To Succeed! In the 50 plus years [+more] since the national commitment began, Head Start has improved the lives of more than 32 million children and their families nationwide. Head Start alumni are in all walks of life. These alumni remember Head Start as the place where, at an early age, they acquired a life-long love of learning. VHSA not only believes in preparing children for life and school but supports parents and families to lead happy, healthy lives. The VHSA members, who include representatives from the seven Vermont Head Start Programs, achieve this with a whole child and whole family approach. The Head Start Tooth Tutor program is a partnership between Northeast Delta Dental, VHSA, and registered dental hygienists -“Tooth Tutors”. The Tooth Tutors work with Head Start children and families so all children have a dental homes, regular checkups, treatment and preventive care. Please consider making a donation today and supporting the VHSA and all of the great work that they do! Get coached by Gary Robbins, Eric Carter, and Ryan Kerrigan from Ridgeline Athletics. 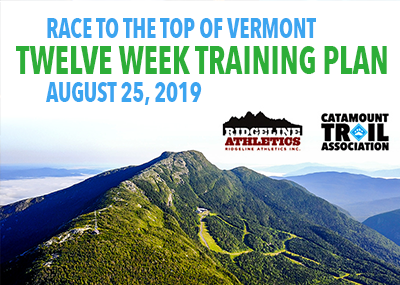 [+more] This 12-week plan will help athletes of all abilities prepare for the Race to the Top of Vermont, a 2500 foot climb up the highest peak in Vermont, Mt Mansfield! In it, you’ll find specific daily training sessions which will help you prepare for this uphill challenge including intervals, long runs, and strength training as well as specific course tips from our coaches. The plan is geared towards beginner-intermediate athletes who have some experience with running and racing but want to add a bit more structure and intent to their daily routine. Join us a day of trail running clinics, demos, and group runs on the beautiful trails [+more] at the Trapp Family Lodge on Saturday before the race. 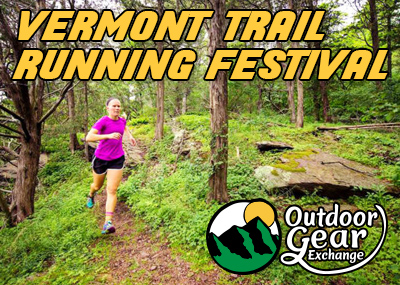 The Vermont Trail Running Festival is made possible by the Outdoor Gear Exchange in Burlington.